The second of today’s “catch-ups” is my new Roman Blinds. 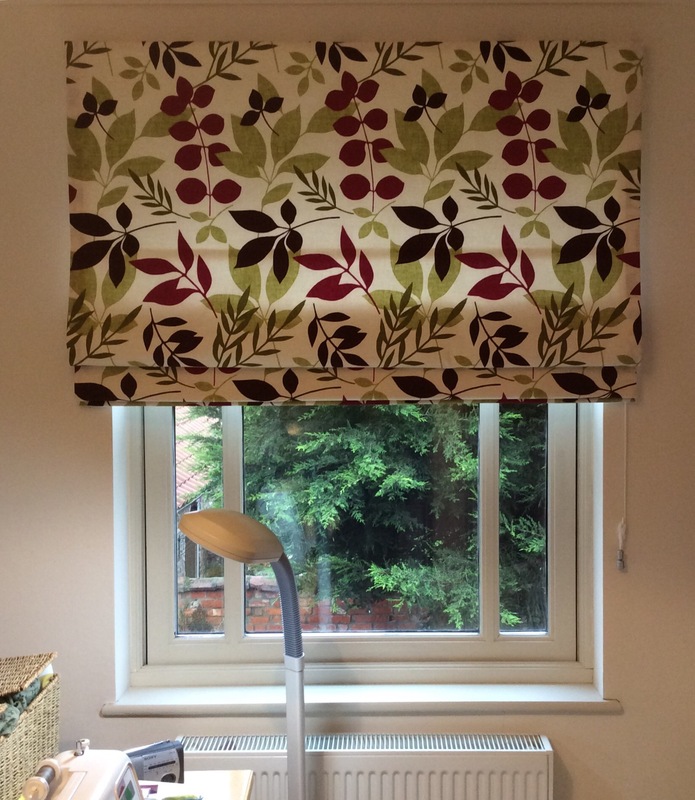 I loved the Jakarta fabric from Dunelm with its botanical theme which I used for Bobs hallway earlier this year and knew I wanted to use it again…….my two workroom windows seemed the obvious place. 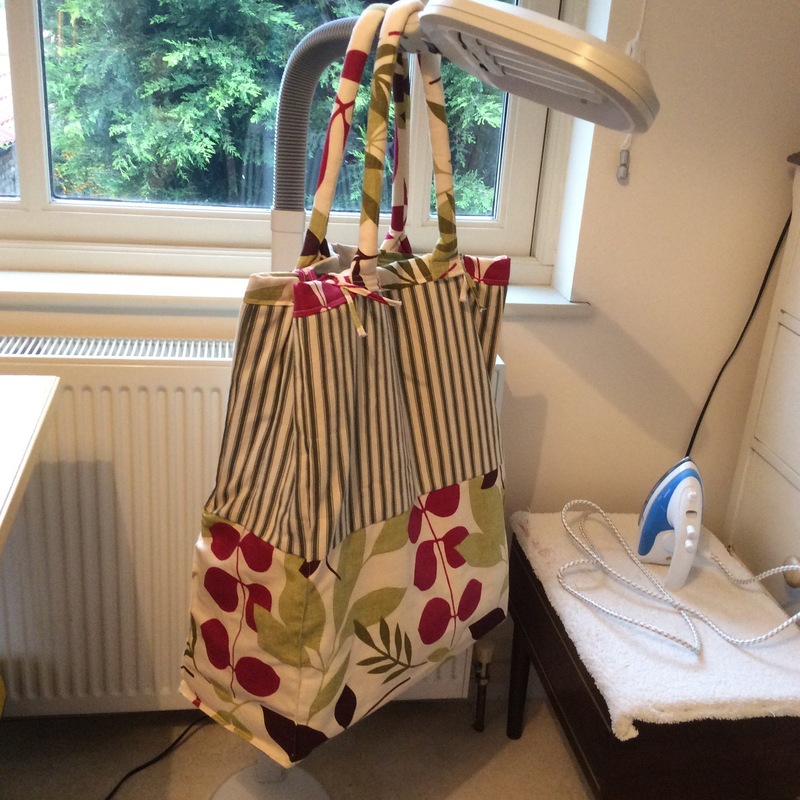 The fabric has given the room a very cheerful feel and the off cuts came in useful to make a bright tote bag for carrying my stash and equipment to workshops. ← My New Hip Bag…..
Really loving the fabric. I wish I could be as crafty to create some blinds out of any type of material. Well, material that can be sturdy enough for blinds, anyway. That looks amazing! Glad you like it. To be honest it’s easier to work with a sturdy cotton rather than a light weight fabric when making Roman blinds. 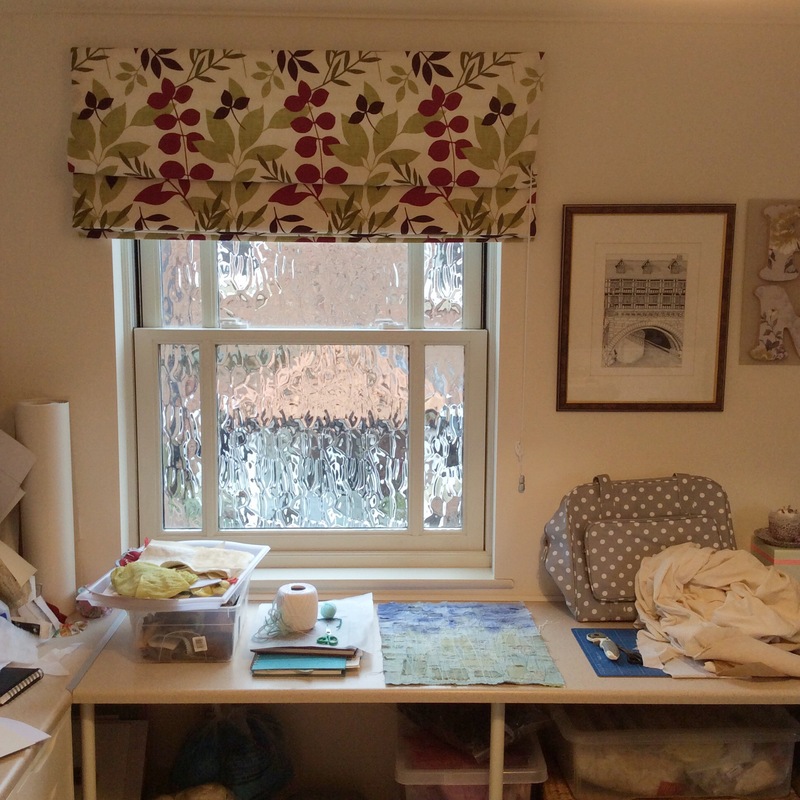 I’ve just made a pair of blinds using dress fabric, chosen by my niece for her kitchen, and found that light weight cotton has a tendency to move more when your cutting and sewing it. As you can imagine, when this happens, it makes it a bit of a challenge to get the blind perfectly square. Those are gorgeous! I love the fabric. Thanks Ruth. Isn’t it great fabric? I just had to have it in the house somewhere!